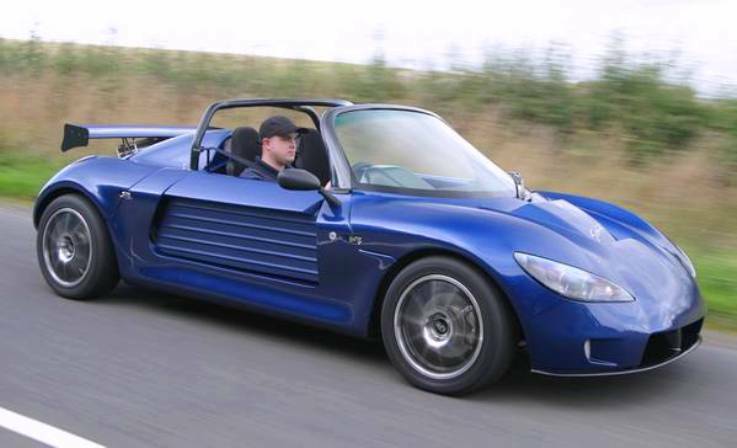 Additional Info: Introduced in 2006 and essentially a kit car, but turn key factory built cars are available. The engine above is from the Honda Civic Type-R or possibly the S2000 (which ranges from 200bhp and 300+bhp (when supercharged). Other engines available are more Honda engines, Rover (K-series and T-series) engines and VW/Audi 20v Turbo engines with as much as 450+bhp. Even the 120bhp 1.6 K-series engine gets the car to 60 in 5 secs.